Who expects a blister three days before Santiago! I have my very first hiking blister ever. I think it developed because of the way I´ve been compensating for my sore ankle and putting to much pressure on the ball of my foot. Anyway I´ve just plastered it with Compeed and padded it with lamb´s wool and I´m still good to go. 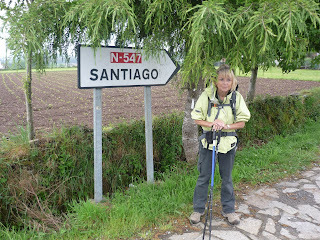 The walk from Arzúa to Arca this morning was about the easiest walk we´ve had yet. It was almost all along a really nicely wooded level path and there was a welcomed café stop mid-morning. 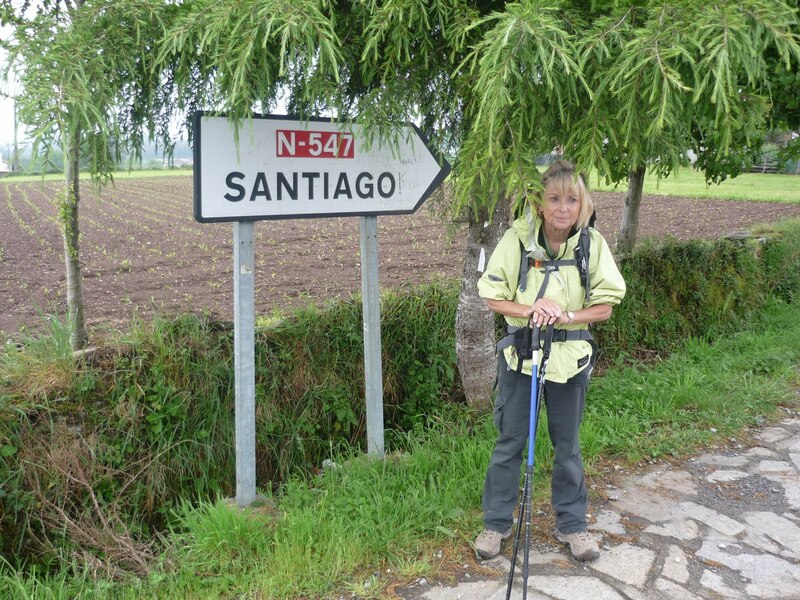 We have about 20kms to go to Santiago and the general sense from the other peregrinos here is that everyone sets out around 5-5:30am to get to Santiago in time to get their certificates and to go to the noon hour mass. I´m not sure we´ve going to head out into the dark much earlier than normal as I don´t want to add the possibility of injury to my already wrecked ankle.